This quote is attributed to Sadako Sasaki. She was 2 years old when the atomic bomb was dropped on Hiroshima. She survived the actual bombing, but several years later developed acute malignant lymph gland leukemia, caused by massive radiation exposure from the atomic bomb blast. As she lay dying in her hospital bed, she remembered the legend of folded paper origami cranes—that anyone who folds 1000 cranes will be granted a wish. According to an exhibit at the Hiroshima Peace Memorial Museum, she folded 1300 cranes before her death at age 12. 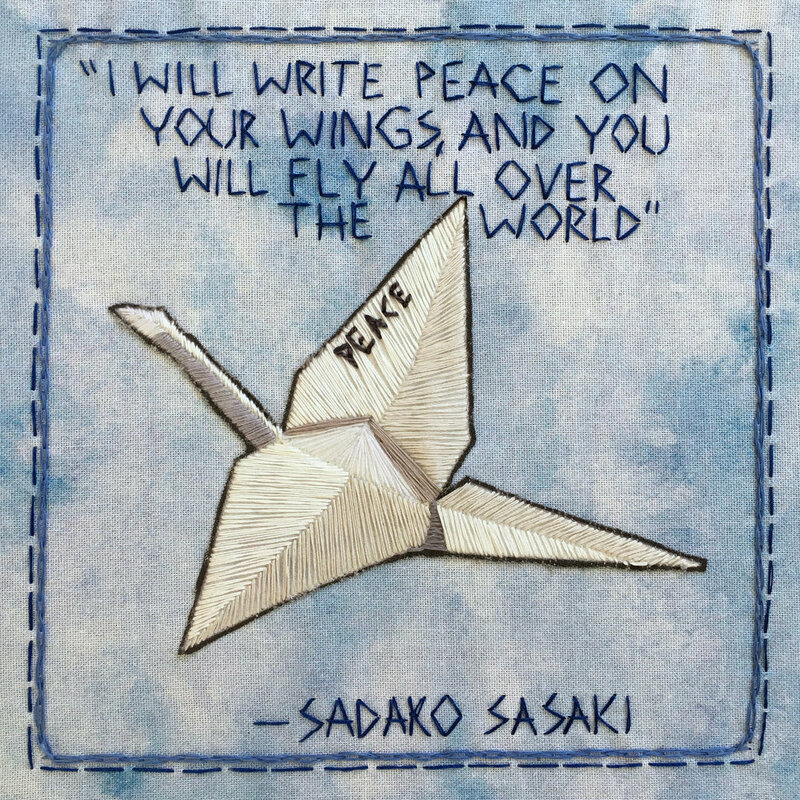 Though her wish—to live—was not granted, Sadako and her paper cranes have become enduring symbols of peace and hope. Throughout the world, people continue to fold paper cranes, as expressions both of well wishes for people who are seriously ill, and as continued hope for peace in the world.